Come join us at Eagle Valley Campground in Sanders, Kentucky. The campground is a clean, quiet, gated park in a country setting. We are a family campground where you can enjoy a variety of planned activities in a warm and friendly atmosphere. Whether you camp overnight or for the season, you’ll enjoy the swimming pool, playground, and fishing. 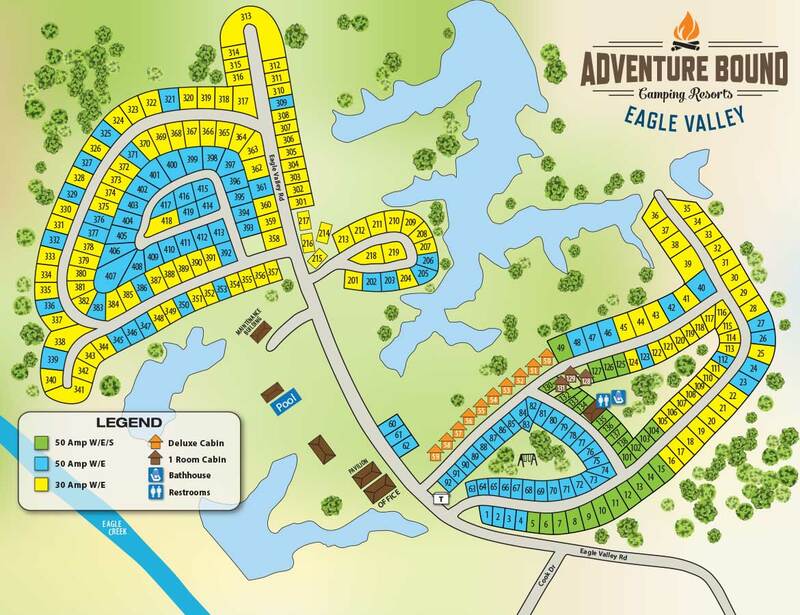 Whether you’re looking for lots of activities or just a relaxing getaway, Eagle Valley has just what you’re looking for!